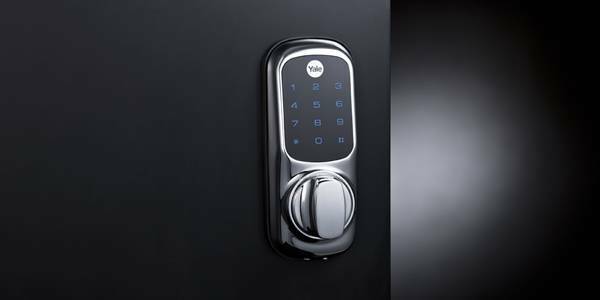 We offer a variety of keyless door lock devices, quick installation and professional service. Our technicians are here to support you in protecting your business and keeping security measures up to date. We know that every business is different and that every client has different security needs. That’s why our keyless entry system installation team will customize options to ensure that the property is protected at all times. Our experts will help you select the right options for your particular business. Record of who entered the building and entry times. Allow or restrict access for individual users without affecting others. Set specific times that certain cards will work. Prevent unauthorized employee access to certain areas of the building. Decrease risk of employee theft. Cards can be set up with a master system, giving owners and managers access at all times, but limiting employee access to certain hours. Limit who can access a particular entry in the building and when. Another security option for businesses is commercial electronic keypad locks. This type of system allows owner and managers to set different codes for each individual employee, change codes to limit access from unauthorized users and review who enters and exits the building at all times. Additionally, most commercial electronic keypad locks have the option to override with a key during an emergency. This combination is available with or without proximity capabilities. A commercial electronic keypad lever combo grants all the benefits of commercial electronic keypad locks. Plus, integrated proximity readers allow certain users to use a code, access fob or access card to gain access to the building. Storeroom – Door locks every time. Deadbolt – Leave doors unlocked during certain time periods. Knob and Deadbolt – Both options combined in one. A manual commercial electronic keypad lever combo is perfect for a small business or home office that needs an extra level of security.